“The music of the “2 Days and a Year” album tells stories of the world of daydreaming, falling snow, sunlight glimmering on the water, night skies, and not least, the value of the fragile moment,” said Jens Felder. Imagine taking all those complexities and depths of nature, seasons, feelings and thoughts then combining it all into music. No wonder the music sounded so good. I guess that is what all artists strive for when creating something wonderful. When I first heard Jens Felder play 2 Days and a Year, a few weeks ago, I let this melody steal me. I wanted it to. It was a piece of music that I could go places with. I love music and I have a large collection. hen’s is a combination of many types of music from many parts of the world. I played Jen’s music over several times, just to see if I could get tired of it. I didn’t. I don’t mean this in a negative way. Part of me wanted to play it again, but the other part kept wondering why I wanted more. I do not know how to explain it in words. I am sure every once in a while, we find something beautiful and it affects us. Life is beautiful and mysterious. I could not imagine life without music. I am playing guitar for over 30 years now. 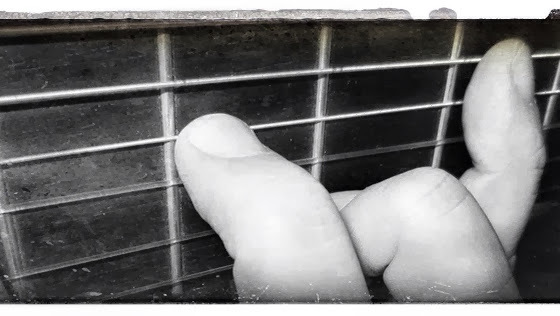 I can’t remember the first time I had a guitar under my fingers. The feeling is still very present. When I held the guitar, I knew immediately that it was exactly what I was missing in my life. Playing music feels like a meditative experience, like “being in the moment“. The silence is expectation and excitement, and gets filled with sound. The silence returns images and echoes back, what gives me great joy and peace. My goal was and is, to communicate the emotions I experience in the music through my instrument. My heroes were the old masters and so I studied classical music for many years. I completed a postgraduate study with Andreas Higi at the music college in Trossingen and attended various master-classes by i.e. Frank Bungarten, Carlo Marcione and the amazing Aniello Desiderio. The learning was followed by many solo concerts with classical programs. I was fortunate to play in chamber music ensembles with violin and vocals and also worked as a soloist with orchestras. I now live with my family in southern Germany and work as a freelance artist and music teacher. The old masters are still my good friends, but now I play my own music. In my pieces melds classical music with elements of world music. You can hear African or Asian modes and even some nods to rock music all within the context of solo classical guitar playing. It feels like a trip around the world with the language of classical music. As a composer, I have worked with various artists from different regions of the world, including also music for short films. In early December, I published my first solo guitar album “2 days and a year”, available on iTunes and Amazon as a download. the first tone is not older than the last one. All music is a child of its time, but not bound by time. the music their own. These moments are present, and alive. There are so many sources of inspiration to write music. Touching people with music is more than inspiration. It gives strength to carry on. Thank you for this beautiful story Joycelin. Hi Jens, I am glad I could share your story and music. It makes me happy to share something beautiful with others. Thank you very much for sharing your story Alex. That is beautiful. I paint and I write, so I understand where you are coming from. You could share your music here one day, if that’s ok.